Professor Hong Xue’s new Book is an overhaul of the academic research on international intellectual property law in China. Since China joined the international treaty system of intellectual property rights, the relevant research has primarily been orienting introduction, interpretation and incorporation of the contents of international legal documents, and assessment and examination of the compliance and/or consistence of the Chinese laws with the international laws that China has adhered to. Although the research no doubt provided valuable resources for China to respond to the acute trade pressure from the West and gradually fit in the international intellectual property law system, its backward-looking and responsive methodology can no longer keep pace with the changing situation, internationally and domestically, and its contents need completely updated so as to be continuously valuable for domestic and diplomatic policy-making and implementation. Since the dawn of 21st Century, international intellectual property law has been changing dramatically, along with the changing situation of international politics, economy, culture and technology. The phenomena of North-South issues, conflicts of IP (intellectual property rights) v. PI (public interests), prolific international regimes and their shifting, more inter-governmental international organizations (IGOs) emerging as new actors and/or fora for intellectual property issues, and multilateral as well as plurilateral and bilateral agreements taking shaping, are redefining the development of international intellectual property law. Internationally, intellectual property issues have been scrutinized under the macro topics such as free trade, market competition, consumer protection, communication rights and free speech, rather than being merely restricted to the private rights and their protection per se. In the best of the times or the worst of the times, the Book attempts to capture all the key issues of the current international intellectual property law and reassess the fundamental theoretical framework and critical public policy issues involved. The Book is therefore a timely and forceful upbeat in the rhythm of new era of international intellectual property law in China. The Book depicts the two driving forces behind the new international intellectual property law, i.e. maximalism and reformism, and their primary outcomes, interactions and intertwinement. The maximalist approach, featuring with cookie-cut model and ever-growing and expansive protection for intellectual property rights, has been pushed strongly by developing countries and intellectual property industry. Although Anti-Counterfeit Trade Agreement (ACTA), Trans-Pacific Partnership (TPP) and a variety of bilateral agreements are gaining ground, the negative effect on competition, development and human rights shall not be overlooked. Unlike any other Chinese books that look upon to or lean to learn from the international intellectual property law, this Book reviews both the theoretical basis and legal presentations of maximalism critically. On the other than, the open communication environment facilitated by the Internet, emerging powers from Global South and, particularly, the global access to knowledge movement, form the strong resistance against maximalism and a vigorous reformative force for new international intellectual property law that is pro-development and public interest oriented. The Book is very first academic addition in China to address the new landscape of international intellectual property law through searching down to the two driving forces and their outside presentations. Such the theoretical framework, critical thinking and new methodology signalizes the new direction on research of international intellectual property law. In addition to the legal study quality, the Book is multi-disciplinary research that absorbs the latest academic achievements on international political economy, international relation, sociology, Internet technology and Internet governance. The Book contains the most refreshed information and original analysis updated to 2011, when the Book was completed. The chapters on enforcement measures on ACTA, TPP, and ICANN new gTLD program have never been researched in China and most parts of the world. It is believed that the Book bring the Chinese study on international intellectual property law to a new stage that is comparable with the most advanced and acknowledged research in the world. ICANN 43rd International Meeting was held in San Jose, Costa Rica on March 11-16, 2012. 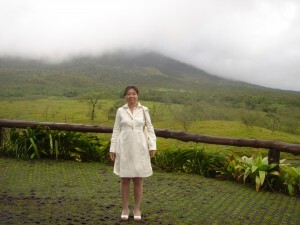 The cloudy great volcano likes wearing a white hat, symbolizing the most green country in Caribbean sea. It was a long trip from Beijing to Los Angeles to San Salvador to San Jose, almost 2 days on road. The tiredness did not prevent a group of us from driving a few hundred of miles to visit the Volcano. After enjoying a volcanic hot spring and a short night in a country inn, we drove to the Great One in the early morning. Unfortunately, we did not see the miracle circle top in the white cloudy dawn. But a a visit to a mountain-view was pleasure and refreshing. Then another long drive back to the conference hall in Ramada Hotel. I immediately joined the ccNSO Strategic Operational working group meeting. From Monday I have been busy with a variety of meetings in different constituencies. 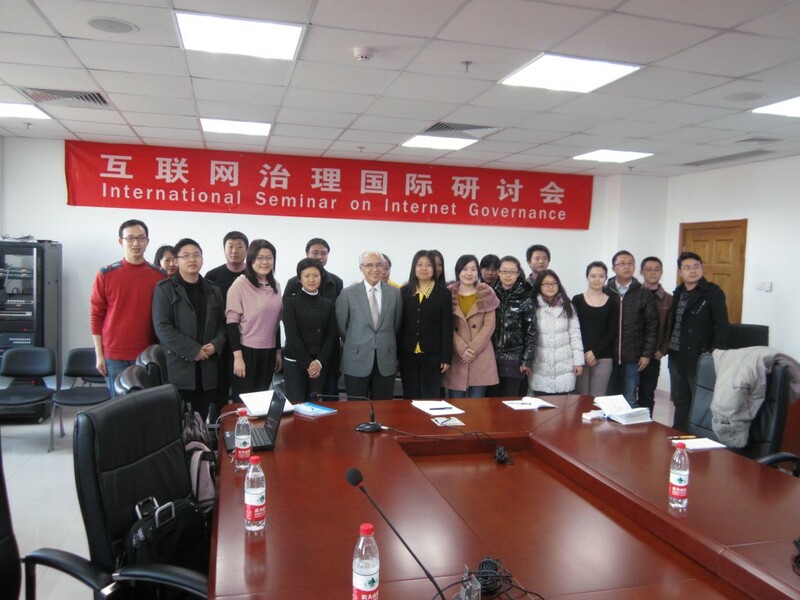 In the afternoon, I noted the seriously biased IDN Variants Project Plan and had a long debate with the ICANN team to be funded by million of dollars against their unfair treatment to Chinese-character set. Tuesday was a busy day full of ccNSO meetings. I made a presentation in the most interesting session of the whole meeting, “law enforcement”. After a couple of boring briefings on SOPA bills etc., MX and KR, my presentation on the domain names real names campaign attracted huge attention. People from GNSO or other stakeholder group joined the meeting and kept asking questions. What’s interesting was that a few non-professional and self-nominated “cyber-watchers” irresponsibly reported my presents to the domestic authorities, which got me in trouble later on after my coming back to Beijing. Were they officious or wicked? I don’t know but they did waste tax-payers’ money to travel 10,000 miles to espionage me in San Jose. On the other hand, Internet-cleaning campaign was propagated by themselves as a big achievement. Idiots ain’t they? Poor me was working hard to organizing a Chinese community meeting when being spied by these brainless amateur spies. I chaired a land-mark swimming pool meeting on Wednesday morning. I briefed them on IDN variant issues and the threat of project plan, and addressed the trademark clearing house. Then I arranged the group of people to attend the different meetings to voice the Chinese community’s concerns. Knet, Conac, dotAsia, Cnnic and a few new gTLD applicants and registrars joined the meeting. On Wednesday morning, I gave another speech on registrations by individuals under dotCN. I assume it succinctly follows the lines this time. Whose line is it anyway? Thursday morning I spent a little time in the downtown of San Jose. It was pretty small but reasonable. I came back in time for the public forum in the afternoon. Surprisingly there were not many tough questions this time. People got tired after debating for more than 10 years. Friday morning I took a walk on the Golf Course nearby but was lost eventually. That was bad experience and also a bad sign actually–the beginning of my long torment. I’m leaving for the airport at noon. I lost my luggage en route–San Jose to Miami to Los Angeles to Beijing. I suffered terribly in those 5 days.